If you’ve been in the store, you’ll recognize two things from the above photo. First, it’s the space where Fred use to be displayed. (You can see the story of Fred HERE.) 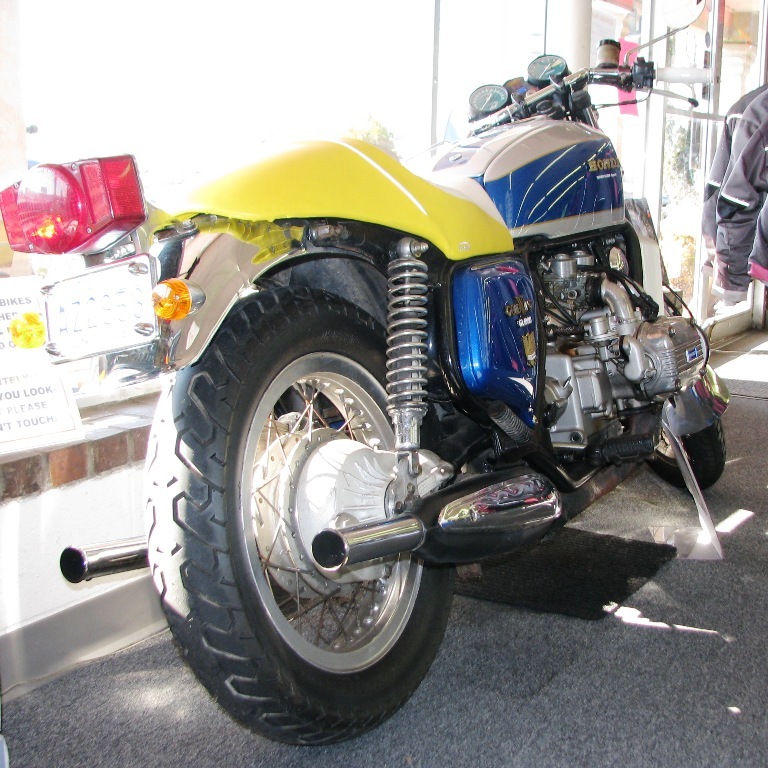 And second, it’s our 1976 Honda Goldwing lovingly known as the “PENNYPACKER SPECIAL”. When a good friend of ours (we’ll call him Ned) bought this bike, it was very rough. 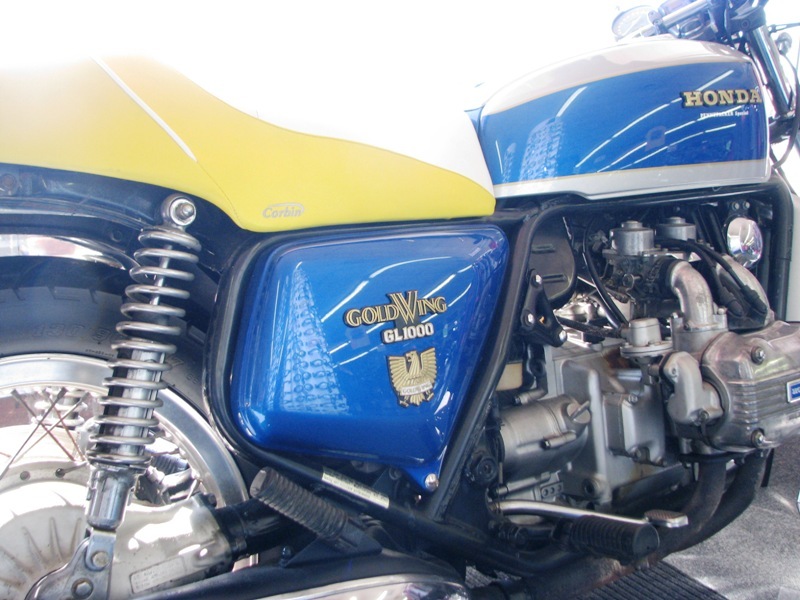 While trying to sell it, Ned said it was a 1975, the first year Goldwing was made- thus more collectible. After a couple of years, he made us an offer we couldn’t refuse. After all, it was a ’75, the first year Goldwing. The bike would be worth something, at least in twenty or thirty years. Pennypacker- you’ve screwed me again! Actually, we’ve all gotten a big laugh out of it and we still debate whether it is a 1975 as Ned claims, or a 1976 as the title says. Our only option for revenge was to do something to make it stand out. We decided to make our “Pennypacker Special” a Goldwinge cafe racer. We got the bike running, had David Hurst from Slide Effects do the paint, and got a custom seat from Corbin. Jeff added the clubman handle bars and his signature white grips. He rides this on a regular basis and it’s definitely one of a kind. This entry was posted in Vintage Bike and tagged Biker Rags, cafe racer, first year goldwing, pennypacker special, vintage motorcycle. Bookmark the permalink. 75 and 76 look very near the same bike. i still have my 75 which i brought new in 75. you have done a very good job on the wing, looking at it i would say it is a 75 what i can remember is the chrome bracket between the carby,s was different on the 2 models so check it out. Thanks Dotsy! That’s good info. How cool that you still have the ’75 you bought new. We appreciate your comment. What a great story and a great looking bike. I love your rides, stories, and bikes. You help make ET a great place to own a bike. Thanks, and keep up the great work. Thanks so much Shawn! We appreciate that you read and enjoy our stories. We are so lucky to live and ride in ET- a perfect place for this hobby we share. Take care and stay safe today. Great story. I didn’t know the origination of the name. Thanks for your comment Steve. Seinfeld is such a classic- I know you are a big fan. D.B. Pennypacker- now I remember. We laugh every time we see that one. Hi guys, nice bike and story. 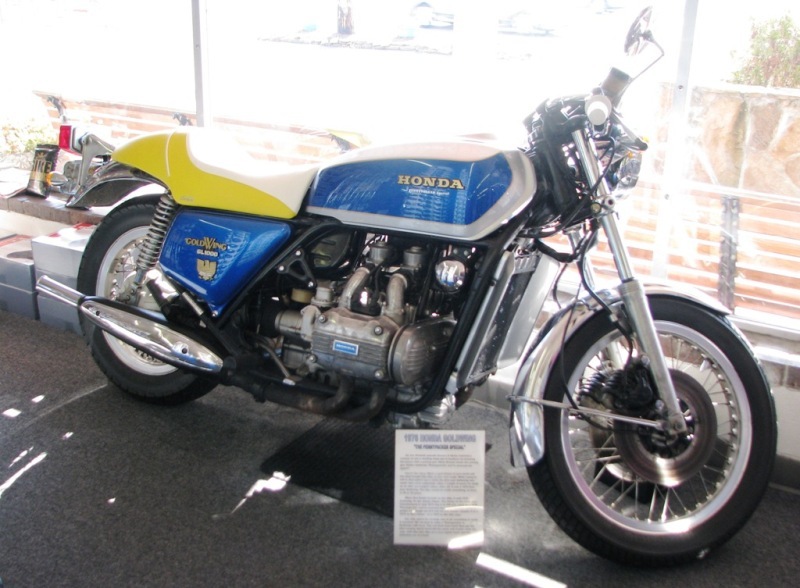 Here is one I ran into a few years back…..(a few decades) I bought a Honda 750A in Florida. I think??? I recall they were only produced 2 years, 75 & 76 or 78 & something or other. BUT, A couple years later living in Nashville a friend bought one he thought was the same bike. We did a little investigation as the problem was the same, title said one thing, frame said another. I contacted a friend who had a dealership in those years and he informed us that a few bikes were ordered late in the year and were out of production and because of the setup for production had been half changed, they produced a few with confusing dates, produced in the final month and stamped in the earlier, or something to that effect. At any rate, it increased the collector value by a couple hundred dollars over the correct stamps. The vin #’s matched, only the year didn’t. Maybe one of those deals. good luck. see you all when things are better. Hi Ronn- well then, that’s an interesting twist. Do you still have your 750A? 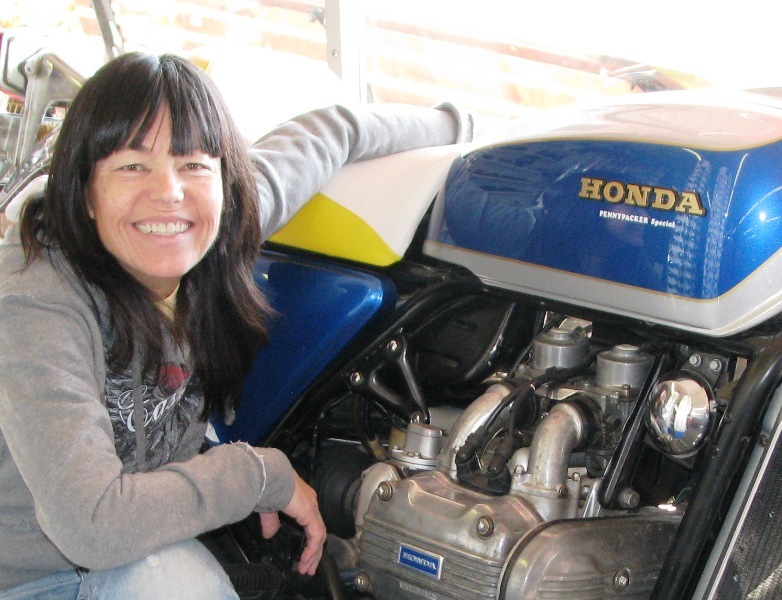 Honda’s make such great bikes- it’s no surprise so many of them are still around. Hope things improve your way very soon. Thanks for the nice comment. Later!